We sympathize with everyone who is directly or indirectly affected by the terrible earthquakes in Nepal. Lucas Borst and Cedrick Gijsbertsen just returned a few weeks ago from a field survey in Nepal for our project in Mude. They brought back a Geological Map of the Eastern part of Nepal which we have scanned and made available online for anyone to use. 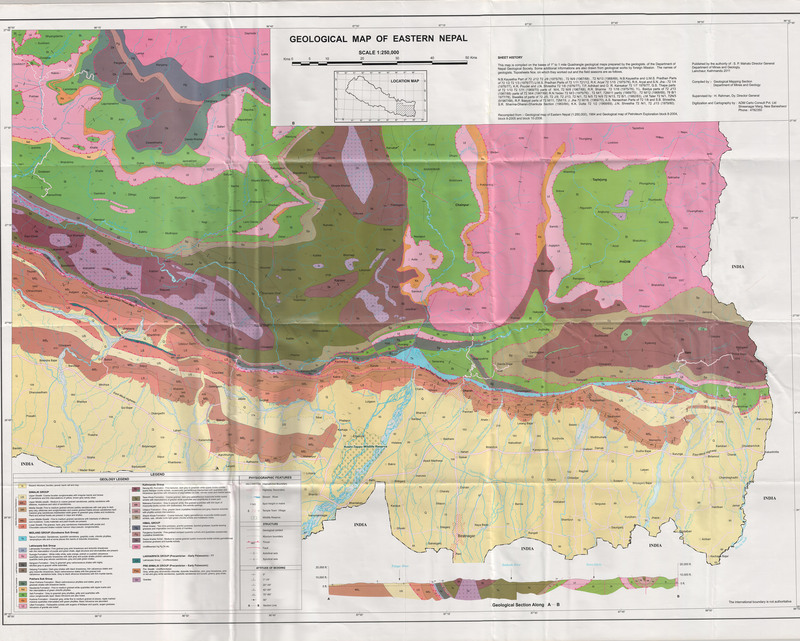 View the Geological map of Eastern Nepal online. 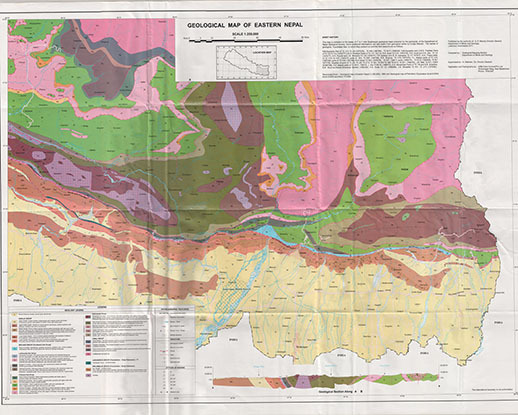 Download the Geological Map of Eastern Nepal as an image file. Download the Geological Map of Eastern Nepal as a Google Earth overlay map. If you have any data that might be helpful to others: please let us know and we can help you to make it available by digitizing, processing or hosting the data!